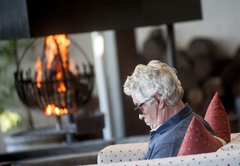 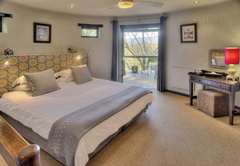 Hog Hollow Country Lodge is a Plettenberg Bay hotel providing accommodation for tourists visiting the Garden Route region. 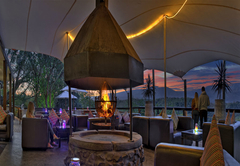 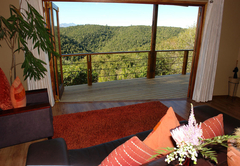 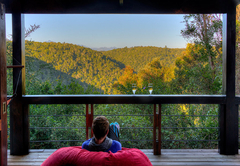 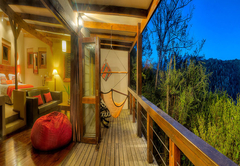 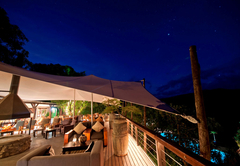 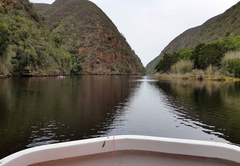 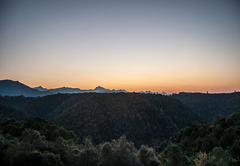 Situated 18km east of the coastal town of Plettenberg Bay, Hog Hollow Country Lodge, a private nature reserve, is set on the edge of indigenous forest with breathtaking views of the surrounding valleys and Tsitsikamma Mountains. 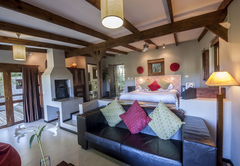 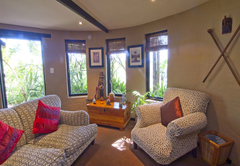 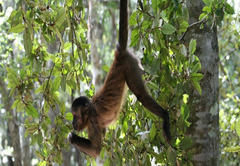 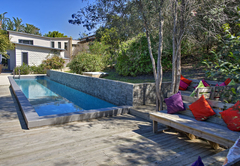 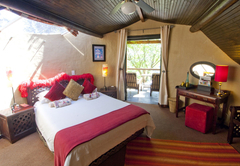 Sixteen individual suites are situated in lush gardens surrounding the main house. 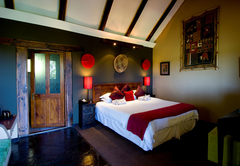 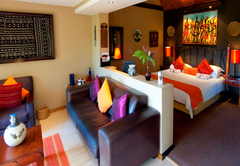 Each room is decorated in a uniquely African-style, using earthy colours, bright fabrics, artifacts from around Africa and local handcrafted woods. 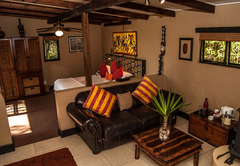 These comfortable, stylish suites offer private wooden decks, king sized beds, lounge area, en-suite bathrooms and most have cosy fireplaces for those chilly winter nights. 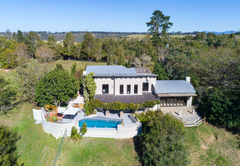 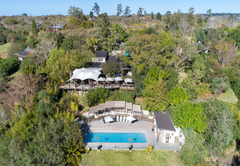 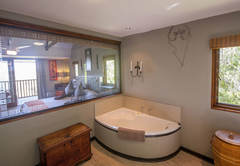 Villa at Hog Hollow Country Lodge is situated 400m from the main lodge on our private nature reserve and is set on the steep forest verge, amidst a verdant indigenous garden. 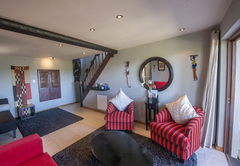 An ideal house for families or two couples travelling – this spacious three bed roomed Villa includes a games room (pool table / table tennis and family board games), swimming pool, barbeque facilities and a central eating area - creating a private holiday haven. 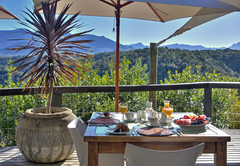 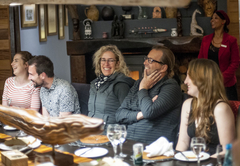 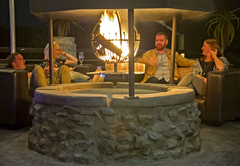 Superb breakfasts are served on the boma deck in the warmth of the morning sunshine, or inside by the fire on chillier days, while our scrumptious communal dinners are served in the conviviality of the candle-lit main house. 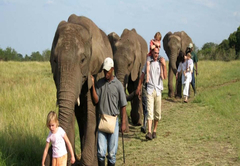 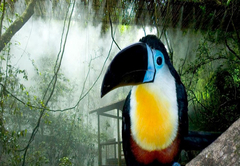 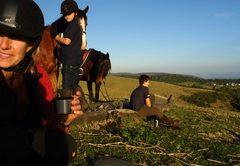 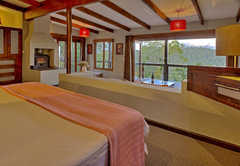 Attractions at the lodge range from: lazing at our long blue pool, sauna, massage or reflexology, horse riding over fields and forest, to a magnificent walk from the Lodge through the indigenous forests. 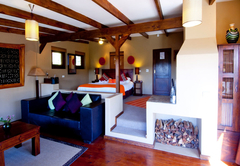 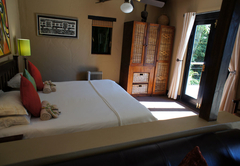 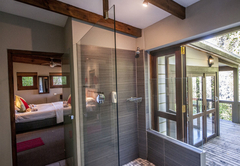 Suite:double or twin bedded/private wooden deck, cosy fireplaces. 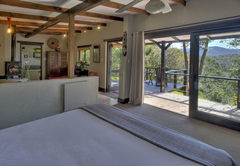 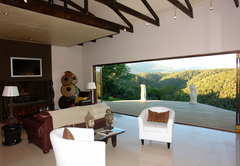 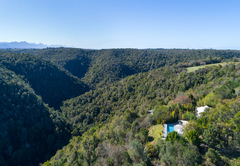 The Villa at Hog Hollow Country Lodge is situated 400m from the main lodge on our private nature reserve, with breathtaking views over the indigenous Tsitsikamma Forest and Mountains. 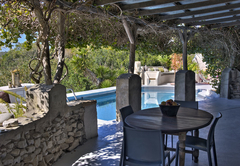 Villa 1 can accommodate six people. 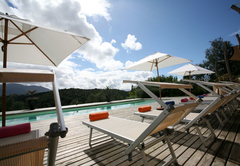 Villa 2 can accommodate eight. 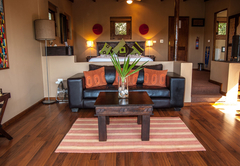 Response timeHog Hollow Country Lodge typically responds to requests in 5-10 minutes. 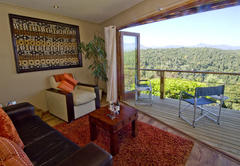 Exceptions to check-in/out times may be arranged and guests are welcome to relax on the deck or leave their luggage at reception until their rooms are ready.